25 remixed The Legend of Zelda tracks will appear in it. Well, VentureBeat put this very question to Nintendo's manager of publisher and developer relations (and self-described "Nindie guy") Kirk Scott. Cadence of Hyrule - Crypt of the Necrodancer is due in the spring. Brace Yourself Games, the studio behind the rhythmic dungeon crawler Crypt of the Necrodancer, is taking a crack at making its own Legend of Zelda game-with Nintendo's blessing. 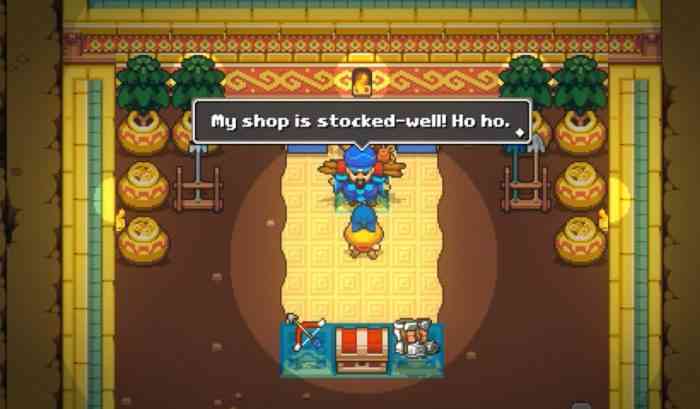 Cadence of Hyrule stars Link and Zelda, rather than Cadence, the protagonist of Crypt of the NecroDancer. Familiar enemies like Lynels, an assortment of items from The Legend of Zelda, and spells and weapons from Crypt of the NecroDancer culiminate in a unique take on both series. Even more excited to see it mashed up with The Legend of Zelda? Link and Zelda will be alongside Cadence in her new adventure. But, according to The Verge, the run-and-gun platformer will be unleashed upon the Nintendo Switch servers, with Xbox Live Support promised in the months following its re-introduction on April 18th.